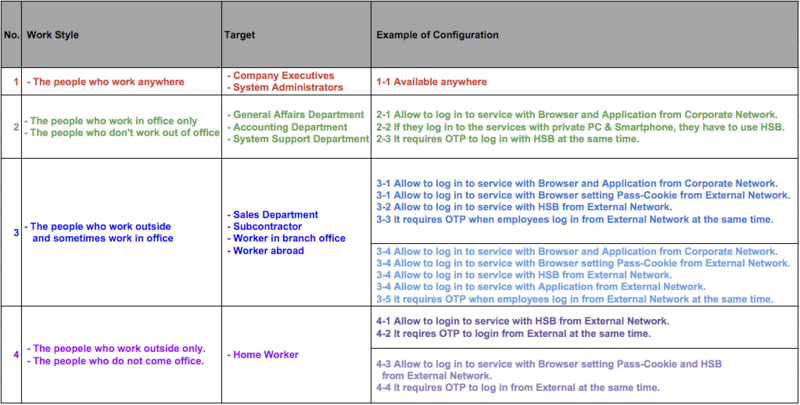 This article consists of examples of configuration and the instructions on how to efficiently setup HENNGE Access Control. We provide typical configurations that is usually used by our customers and help you to look for optimum solution of Access Control for your organisation. They can gain access to the cloud services from anywhere on the Internet without any restriction. Furthermore, One-Time-Password (OTP) can improve the security. Below is a summary of Best Practice of HENNGE Access Control.